Bored Housewives Network: Did someone order a ham 'Sam'which? Oh man, that's a great costume. And photogenic, too! It looks as awesome in pictures as it does in real life. 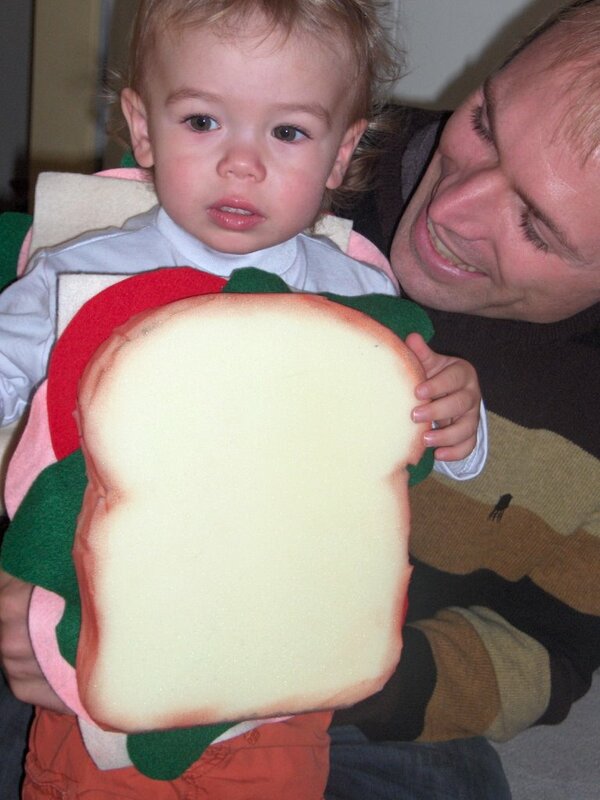 I think you should think about making the "samwich" costume a recurring annual theme. Next year he could be a cheese samwich, the year after that a tuna samwich (okay, maybe not that one) and so on, with the samwiches getting bigger as he does, until he's twelve years old and dressed up as a foot-long sub.